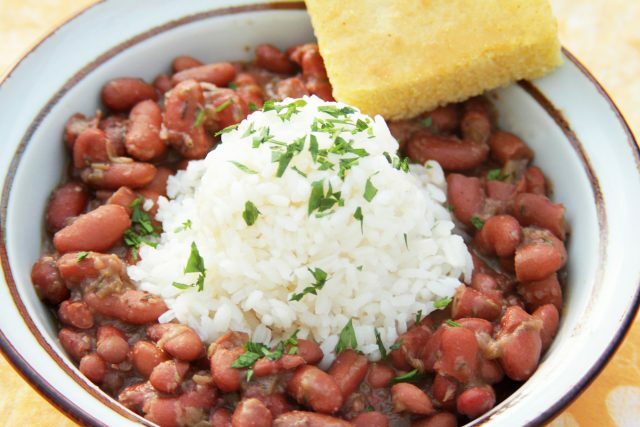 Home cooks experimenting with the “Meatless Monday” trend are often attracted to the New Orleans red beans tradition as a way of building 24-hour stretches of vegetarianism into an otherwise omnivorous lifestyle. But sometimes, adapting a traditional cooking method rich in meaty products (sausage, hambones, pickled pork) is more complicated than just leaving your favorite pig products out of the mix. Too often, a batch of vegetarian beans can be lackluster and bland compared to its meaty counterpart. 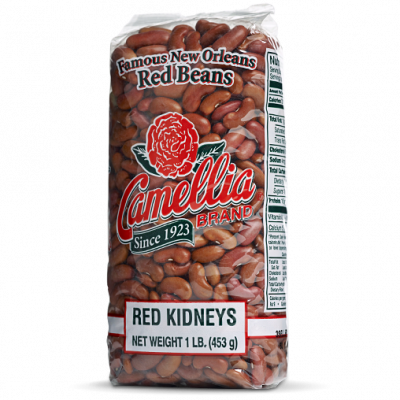 Luckily, there are simple steps that any home cook can follow to add flavorful dimensions to meat-free beans and making it an easier sell to families accustomed to a meatier version of the New Orleans classic. 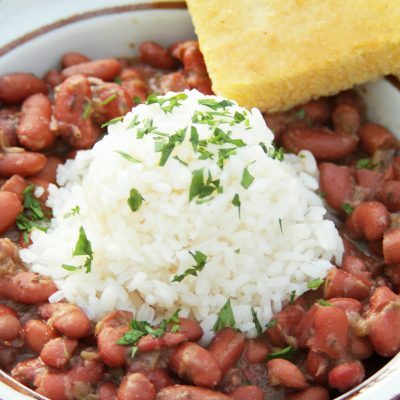 Here are a few options to fleshing out the flavors of meatless Monday night red beans recipe. When we leave out the meat, we need to compensate for the flavors we’re losing. Oftentimes the subtle flavor notes contained in a favorite sausage (pepper, garlic, heat from cayenne) or ham product (bone, hock or actual ham) also disappear when we go meat-free. Counteract that flavor loss by upping the amount of your favorite spices or herbs by a bit to distract your tongue from the missing meat. Add more garlic to the initial sauté. Because… garlic. Increase your black pepper by a teaspoon or so. 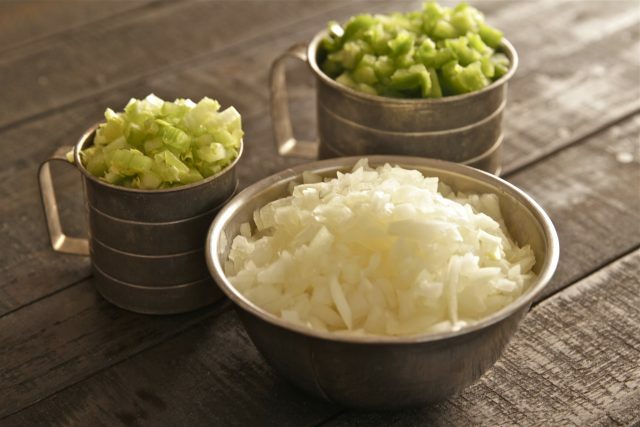 Instead of quick-sautéing onions, cook the onions beyond golden-brown to a deeper shade. Even a slight caramelization adds flavorful depth to the mix. 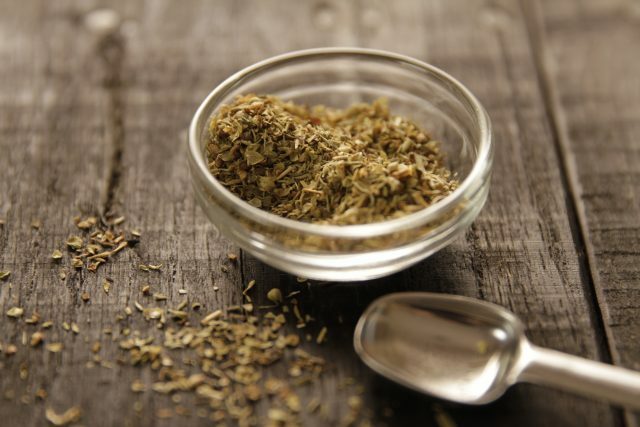 Experiment with flavoring herbs (adding a little thyme or dried basil to mimic sausage ingredients). Add a little more green onion than you usually would to freshen the final bowl. The key here is to excite the taste buds, but with a balanced addition of other interesting flavors. Much of the savory profile of our favorite flavoring meats (andouille, tasso, ham hocks, smoked chicken wings) come from the distinctive flavor of woodsmoke. Done right, it’s a little reminiscent of a backyard BBQ in your bowl of Monday night beans. Smoked Paprika — Spanish cooks developed a smoked mild chile pepper called pimenton that adds an earthy but substantial smoky note to meatless beans. Heat isn’t so much the issue here as color; overuse can make your beans RED RED, so adjust accordingly. Liquid Smoke — Many home cooks in south Louisiana swear by this spice-aisle staple as the secret to their red beans. 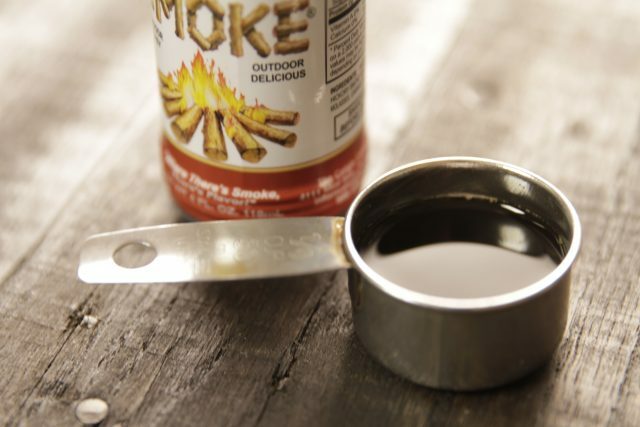 If you’re interested, give it a shot, but ever so judiciously — a little Liquid smoke goes a long way. This little trick comes straight from classical French cuisine, specifically their rich tradition of mother sauces. Specialists called sauciers often “mount” a slightly heated concoction (steak juices and red wine, for example) with chilled butter, resulting in a rich but simple sauce. The key here is to keep track of your temperature. If the beans are too hot, the solids and fats will separate instead of adding creamy richness. Avoid this rookie mistake by taking beans off the heat about 20 minutes before serving, then stir in half a stick of butter to the pot before serving. 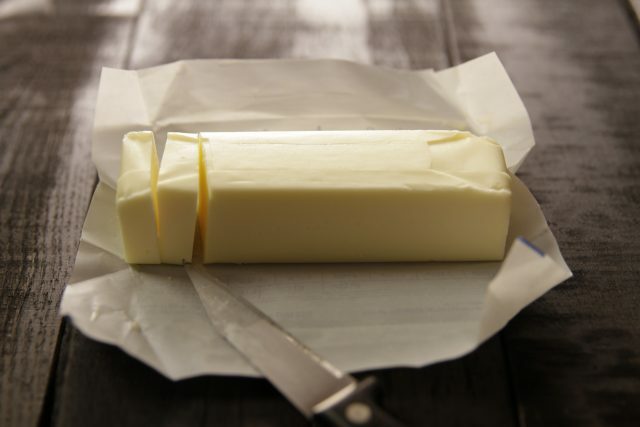 As the butter melts, you’ll have extra-rich beans and your guests won’t even miss the meat.